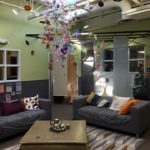 The Compass School of Cincinnati, Ohio opened in 2000 as one of the first programs in southwest Ohio to offer a Reggio Emilia-Inspired curriculum philosophy. In 2011 the school earned NAEYC accreditation, which is arguably the highest and most widely recognized benchmark of quality for a preschool program. The school’s NAEYC accreditation has been successfully maintained since 2011. The Reggio Emilia approach to education has been at the forefront of early childhood education for over 40 years (Rinaldi, C. 2006. In dialogue with Reggio Emilia: Listening, researching and learning). This philosophy is rooted in a strong image of children as capable, rich in potential, and full of interests and ideas about the world around them. Teachers at The Compass School seek to inspire learning by encouraging creative exploration and collaboration between children in a welcoming, community-based school environment. For more information about what it means to be ‘Reggio-Inspired’, please click here. The Compass School of Cincinnati serves families in Loveland, Mason, Maineville and surrounding greater Cincinnati communities. 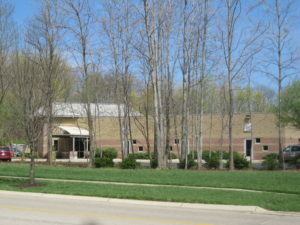 The school is conveniently located in Deerfield Township, Ohio, just beyond Costco at 9370 Waterstone Blvd. (near Kings Auto Mall). For school-age programs, The Compass School of Cincinnati currently offers transportation to and from select Mason, Loveland, and Kings Local public schools, including Loveland Early Childhood Center, Loveland Primary School, Mason Early Childhood Center, J. F. Burns Elementary, Columbia Intermediate School, and St. Margaret of York Catholic School. Click here for directions from your location. We welcome you to explore our unique and inviting learning environment! Call 513-683-8833 to schedule your personal tour. Meghan has ten years of experience at The Compass School of Cincinnati. She started with Compass in 2006 as a Preschool Teacher, and has also served as Preschool Wing Coordinator and Assistant Director. Meghan holds a Bachelor of Arts degree from Mount Nazarene University, where she majored in Early Childhood Education. Our beautiful Chihuly-inspired sculpture recently went up in our plaza. Stop by and check it out! Thank you for the hard work of our children and teachers to bring this work-of-art to life. Just in time for our February 22nd NAEYC Open House, and definitely a fun topic of conversation for our visiting educators from throughout the region. Heather is a graduate of Chatfield College, where she majored in Health and Human Services. She joined The Compass School of Cincinnati in January 2001, just after the school opened. She began her journey with us as an Infant Teacher. 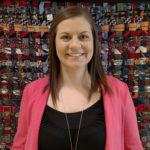 Currently, she serves as Opening Supervisor, in addition to providing support for the school as a floating teacher and transporting Kindergarten and school-age children to and from public school. 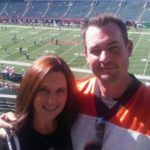 Heather enjoys sports (especially the Bengals and OSU football) and spending quality time with her family. Everyone is like a family here. Not only am I assured that my children receive a wonderful learning experience, but I also know they are learning real-life skills that will stay with them for years to come. I love the atmosphere of warmth that is apparent as soon as you walk through the doors of the school. And the Reggio philosophy is so empowering for my child. The Teachers and administrators are FANTASTIC! Not a better group of people could be taking care of my child. I have to tear her away when it’s pick up time. She often asks in Compass is open on the weekend and if she can go. Having been at several different centers and even having a nanny at one point, I would say that the teachers at Compass have taught my girls much more… I noticed it within the first couple months- dramatic difference. My daughter learned far more in the Toddler Program than I ever expected! The teachers go above and beyond to find ways to bring in real-world connections to the students’ learning.